I'm going to attend a seminar in Rome for a month. I later on found out that there will be an "International Day" of sorts and the participants must wear native costumes. I don't have a clue about what to wear and where to get it. The Imelda dress (I don't know what it's called) was what I had in mind at first but my friend thinks it's over the top. The guys will wear barong. Any ideas? But personally, I think our traditional Filipiniana terno with butterfly sleeves is such a beautiful article of clothing that will certainly draw raves from your international colleagues! It is such a shame if you decide not to wear one! If you could get your hands on a Joe Salazar, Pitoy Moreno or a Patis Tesoro terno (borrow one if you have to! ), that would be the best! I am not entirely sure if ternos are available off-the-rack, as they are usually tailor made, and should fit you snugly. You can always have a terno made, and it will range from as low as Php1,500 to as high as Php100,000 depending on the fabric used (ternos made of pina fiber will of course cost more, starting at at least Php20,000). My mom is from Laguna and I know for a fact that you can have ternos made for as low as Php2,000, including beadwork and handpainted flowers! 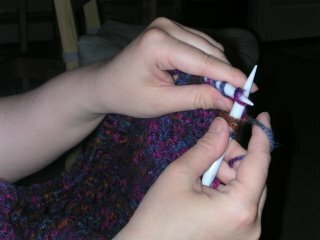 Of course, the more fabric used, the more expensive it gets! Should you decide not to wear a terno, you can wear a "modern" baro't saya instead! As Raisa mentioned, you can just wear a plain gown, or say a black skirt, and pair it with a baro made of jusi or pina! These you can buy in the Filipiniana section of Rustans or SM. Check out Balikbayan Handicrafts and Quiapo too! 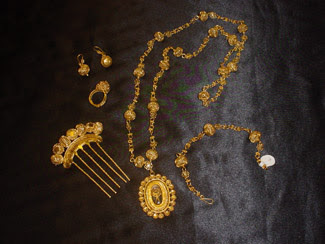 You can then accessorize with a tambourine necklace and matching "payneta" and earrings if you'd like! Or a modern version of the terno as interpreted by London-based Filipino designer Lesley Mobo! Really, there are plenty of options for us Filipinas. So thank you Che for making the effort to dress up and for thinking hard about what you should be wearing in Rome! Thanks for representing the Philippines! Whatever Filipiniana dress you decide to wear, I am sure you will make our countrymen proud! I think every Filipina should own a terno. I sure want one of my own. =) But I think its for really formal events. 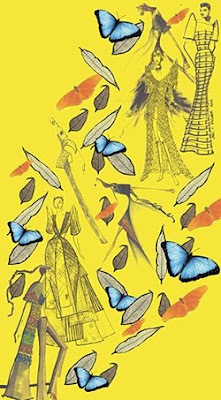 Like what Anon said there are already what is called the "modern terno" its usually a dress underneath and over it is a kimona or a top that resembles the butterfly sleeves of the terno. This is what we wore one time. Also, there are already barong-like dresses available. I think there are also Igorot and Muslim inspired dresses using fabrics from these provinces that are so colorful matched with ethnic accessories. Wow! i'm having a major dilemma, my dad is buying me cartier watch and i don't know which to choose. i kinda like pasha, roadster and santos but i don't know which one. i'm more of a gold person but i like how the steel looks. gold watch would be too formal looking so i don't know if i should get all steel or two-tone? i also like the large sizes because the small sizes would look to cute for me hehe. please help i want something that's classic and i can wear all the time. I agree with Raisa that every Filipina should own a terno. I think it gets a bad rap because it was identified with Imelda Marcos. But I truly do think it is one of the most elegant of Filipiniana attire. Hmmm.... I should have one made back home. 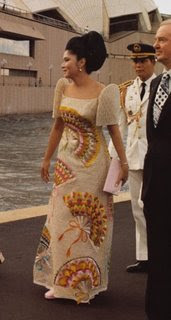 I have to say the one worn by Imelda Marcos is the picture you posted was particularly stunning. Even with the fan print. While the Baro't Saya is a nice traditional one too, I feel it lacks the ooommph! the terno brings. As for Anon whose getting the Cartier watch... ang swerte mo! (I hope you speak tagalog, if not YOU'RE SO LUCKY!) The Pasha is great, but the Santos is certainly very classic. Imelda inspite of her whatever you want to call it LOL did make the terno known to other countries. I think us being proud to own and wear one should change its bad rap. I have discussed with my mom getting one for me. I want it to be a modern terno but not too modern. 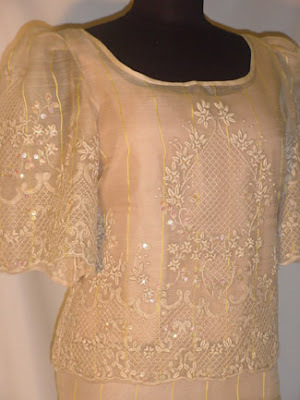 I agree with knittingmommy that the terno just has this wow factor whether simple or more lavish.